Take the quality of your packaging as seriously as you take the quality of your product. The packaging of your healthcare or pharmaceutical CPG product affects the stability, protection, presentation and convenience of your product from the moment it leaves your warehouse. This applies to your secondary packaging as much as it applies as your primary packaging. So much emphasis is put on primary packaging quality — and for good reason — but don’t make the mistake of leaving your secondary packaging as an afterthought. That secondary packaging makes all the difference in the presentation of your product on store shelves, the clarity and accessibility of critical information about the product, and even creating a more convenient experience for consumers that encourages them to follow their healthcare practitioner’s advice. In the healthcare CPG product industry, quality assurance is a critical component of Good Manufacturing Practice (GMP). Quality consistency demands thoughtful packaging design, comprehensive quality control testing procedures, and using licensed and audited suppliers. While there are quality assurance testing procedures required for every country in which you intend to sell your product, there are three specific areas where some packaging operations are falling short. Taking testing more seriously in these three areas will keep your consumers safer — and better guarantee placement for your product on store shelves. The conditions your packaging are exposed to will affect the physical and chemical characteristics of the materials they’re made from. Poorly chosen materials may result in holes or thinning, or even wearing down of the coating of your packaging, resulting in loss of structural integrity or destruction of critical consumer-facing information. Even for secondary packaging, materials must also be compatible and withstand the forming, sealing and handling processes. Chemical: Check the pH value of the materials. Measure the chloride and sulphate in the paper or board. Analyze the alkalinity of glass. Then with those results, run compatibility tests with the chemicals and conditions that the packaging may encounter. Physical / Mechanical: Study the effect of creasing, folding and tearing of the materials to catch any potential problems before they occur once packaging is produced. Environmental: Consider what environmental conditions the material may be impacted by. How does it respond to different temperatures, levels of light, absorption of water, or exposure to water vapour, gases or odours? The nature of the product, the planned sterilisation process, how the packaging is intended to be used, the expiration date of the product, and the transport and storage of the package will directly affect how your packaging should be constructed. Testing your packaging integrity will alert you to any possible issues that may come up around environmental conditions or stresses the packaging is subject to once it leaves your warehouse. Structural / Mechanical: Your packaging should protect your product from transportation hazards. Test the packaging to make sure it will withstand the trip from the warehouse to store shelves (we always complete shipping and durability tests with our packaging and display designs). Environmental: What environments will your product be exposed to? Make sure the packaging can withstand elements such as heat, cold, moisture and light. For pharmaceutical products, maintaining sterility is also an important concern. Your packaging must be tested to provide physical protection and keep the product sterilized until the packaging is opened. It should be able to protect the product without loss on account of leakage, spoilage or permeation. It should protect against environmental conditions like light, air and moisture during transportation and storage. It should not be permeable to gases. It should possess sufficient strength to withstand the shock of handling, loading, transportation,etc. It should facilitate the efficient, safe and convenient use of the product. The material should not interact with the contents. It should protect the product from moulds, bacteria and other contaminants. The cost of material should be as low as possible without compromising the quality of the packaging. It should facilitate easy identification of the product. The closure should be airtight. The closure should be compatible with the planned preparation. The accuracy and physical stability of labels in healthcare and pharmaceutical packaging is often under-checked — yet errors are often reported. An important quality control test you should be doing here is ensuring the label on the secondary packaging matches the label on the primary packaging. A mistake with this can cost you in lost shelf placement and repackaging fees. But more importantly, it can pose a serious safety risk to consumers. The second important quality control test is around the integrity of the labels. Are they legible and non-transferring? Do they remain intact after handling, transport and storage? Once again, if the labels don’t hold up to normal shipping and use, it can cost you in fees and risk consumer safety. Quality control is not confined to laboratory operations but must be involved in all decisions concerning the quality of the product. — WHO Expert Committee on Specifications for Pharmaceutical Preparations in the WHO Technical Report Series, No. 823. Adequate facilities, trained personnel and approved procedures must be available for sampling, inspecting and testing starting materials, packaging materials, and intermediate, bulk and finished products, and where appropriate for monitoring environmental conditions for GMP purposes. Samples of starting materials, packaging materials, intermediate products, bulk products and finished products must be taken by methods and personnel approved of by the quality control department. Test methods must be validated. Records must be made (manually and/or by recording instruments) demonstrating that all the required sampling, inspecting and testing procedures have actually been carried out and that any deviations have been fully recorded and investigated. The finished products must contain ingredients complying with the qualitative and quantitative composition of the product described in the marketing authorization; the ingredients must be of the required purity, in their proper container, and correctly labelled. Records must be made of the results of inspecting and testing materials and intermediate, bulk and finished products against specifications; product assessment must include a review and evaluation of the relevant production documentation and an assessment of deviations from specified procedures. and ISO 11607-2: Packaging for terminally sterilized medical devices — Part 2: Validation requirements for forming, sealing and assembly processes. Of course, the best thing you can do to ensure quality control for your packaging is to work with a contract packager that is fully compliant and regularly audited. Bonus points if they meet the highest security standards and have a GMP-compliant clean room. 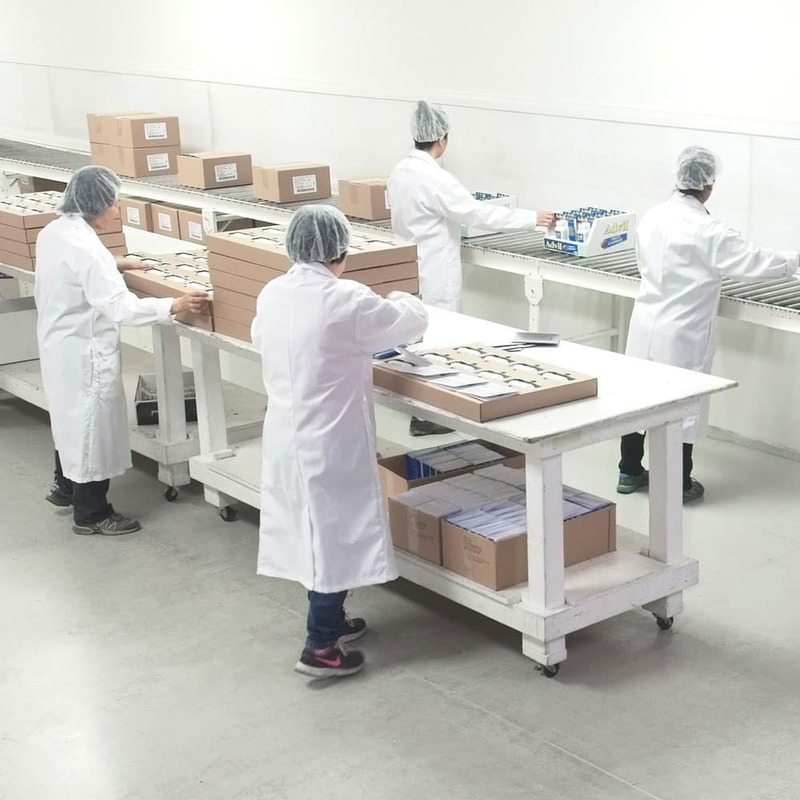 If you’re preparing to sell your healthcare or pharmaceutical CPG product in Canada, and you’re looking for a co-packer that meets those requirements — that co-packager is Ravenshoe Group. I can attest to how critical quality control is when it comes to your packaging. Get in touch with Ravenshoe Group today. 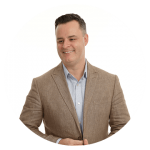 I’d love to talk to you about how we ensure your compliance and your consumers’ safety here in Canada.